Cut Through the Clutter manual - Wylie Communications, Inc.
Cut Through the Clutter manual – 79 pages PDF. According to mass communication guru Wilbur Schramm, that’s one of the two key questions people ask to determine whether to read your copy — or whether to toss it. Hacks never bother to dig up this information. Real pros study the stats, use them to create quality standards and craft their copy so it measures up. Have you done this heavy mental lifting? Or are you just cranking out your copy without understanding how it affects your readers? This manual includes the numbers on readable paragraphs, sentences and words. 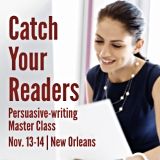 Use them to make your copy clearer — and to show your approvers why you can’t run their 47-word sentences. Note: If you have Ann’s 14-page Cut Through the Clutter handbook, you have only a fraction of the techniques you’ll find in this manual. Ann’s learning tools are brisk and loaded with tips. In fewer than 77 minutes, you can be putting these techniques to work. Plus, get Ann’s Cut Through the Clutter cheat sheet of formulas and checklists — all the action steps of the manual on one sheet of paper. Keep this checklist by your computer to use on every piece you write and edit. Our clients tell us that this job aide is one of the most valuable tools they receive for applying new skills to their daily writing. Now you can get all the tools in The Cut Through the Clutter manual for the special introductory price of just $49.